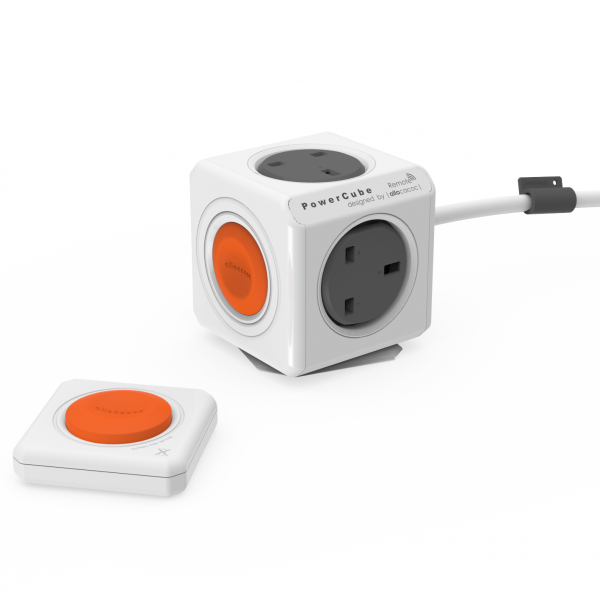 The PowerCube |Remote| is a power extension with a single on/off button, and pairs with a PowerRemote to control your devices from a distance. You can gain up to four additional sockets and charge your devices simultaneously, switching these devices on/off from a distance by pressing on the paired PowerRemote. 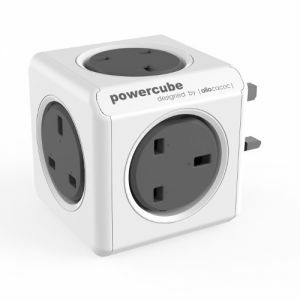 Multiple PowerCube Remotes can pair to one PowerRemote, and multiple PowerRemotes can pair to one PowerCube Remote. Powered by kinetic energy, the PowerRemote needs no batteries. If both hands are occupied, you can just as easily use your foot to press the big step-on PowerRemote. 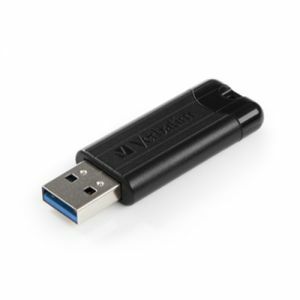 The PowerRemote also sticks onto any smooth surface, without leaving any residue when removed. Simply wipe the sticky pad with a wet napkin and let it regain its stickiness to place elsewhere.